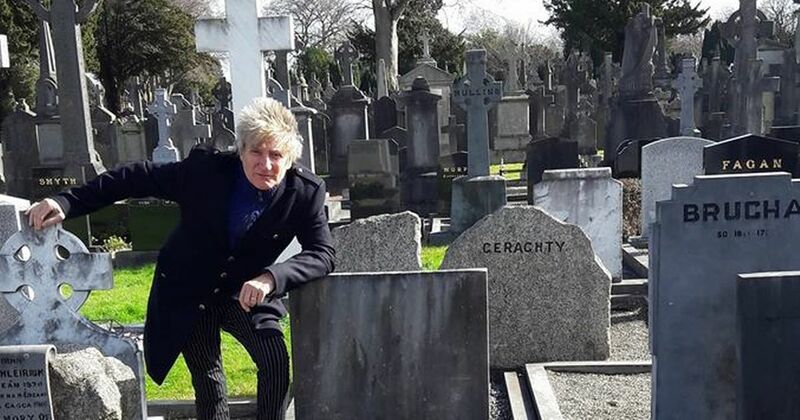 Rod Stewart has been pictured at the grave of Grace Gifford-Plunket, the wife of 1916 leader Joseph Plunkett. The British singer was in Dublin this week to record a special interview with RTE’s Late Late Show. Fans who were in attendance at the pre-recording said he spoke passionately about his visit to the grave site, and of the people involved in the 1916 Easter Rising. He’s famously recorded a version of the love song ‘Grace’, which tells the story of Grace Gifford-Plunket marrying Joseph Plunkett the night before his execution. The image was shared by the Dublin South 1916 Centenary Committee. Our Dublin Live Sports Page – which brings you all your Dublin sports news – can be found here.